The Special Scottsdale Dinner Show! A Scottsdale Magical Theater Show! STEP RIGHT UP & get ready to Laugh, Have Fun, & Celebrate a magical night out with Carnival of Illusion! This top-rated theater show is "Revitalizing Magic" by blending their international travel theme with all the charms of a Vaudeville-inspired roadshow. 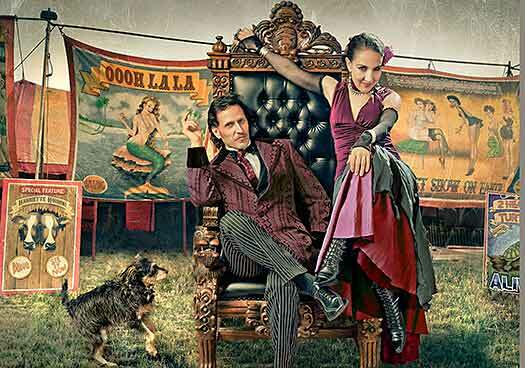 Carnival of Illusion is an evening of Old-World Magic! 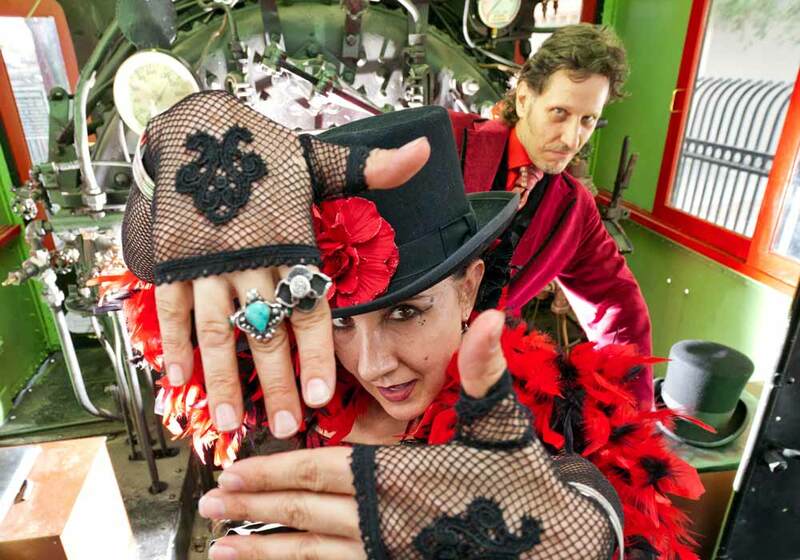 Carnival of Illusion has several venues in the Phoenix area, including the Tempe Center for the Arts, the Mesa Arts Center and the Arizona Biltmore Resort. If you are in Scottsdale, it is a short hop and a jump to any of our 3 great venues. With all those choices you will be sure to find a dining option nearby that suits your tastes. And with two shows on Saturday night, one at 4:30pm and one at 7:30pm, there's a choice for those who like early dining and one for those who like to eat late and close down the town. Seeing Carnival of Illusion at the Arizona Biltmore Resort? Then check out either of the two restaurants at the Biltmore. Frank and Albert's features contemporary American cuisine and Wright's at the Biltmore serve up flavors based on local foods, heritage and culture. A short drive into Tempe will provide you with some great ethnic choices for dining at before or after the show. Think back to those decadent Romans, reclining on couches and eating their sumptuous meals while being entertained. Dinner show you ask? In a way yes. But the heydey of the true dinner theater came in the 1970s, when dining and seeing a play was all the rage, even though the idea was around as early as the 1950s in the good old USA. Many shows featured old movie stars during the heydey in the 70s, when there were as many as 147 theaters in operation. It wasn't long though before operation costs etc. prompted the decline of the once popular dinner theater. One specialty type of dinner show called the Madrigal Dinner often occurs during the Christmas season. It includes several courses of food and Medieval music and a play. We at Carnival of Illusion think dinner and a show is a great idea because we all love to eat, laugh and have fun, all in one night! So if you are visiting Scottsdale and are looking for a dinner show, visit one of our many locations nearby. Bravo to Susan and Roland for their stellar performance! Carnival of Illusion is a show I will want to share with my friends and family. We thank you for providing an evening of pure fun and exposure to the fanciful world of magic!!! Roland and Susan never disappoint and we marvel at their energy and grace as they perform. We had no idea what to expect and found your show to be a delightful change from anything else we've ever experienced. Theater at its best!